Sunday, May 21, 2017, 11 a.m. - 5 p.m. 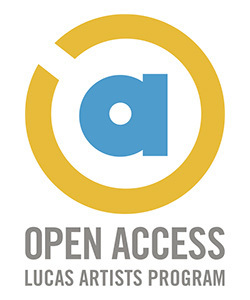 This is a rare opportunity to visit the studios of the Lucas Artists Residency Program at Montalvo Arts Center, which are normally closed to the public. The public will be invited to visit the studios informally from 11am-5pm on Sunday, May 21. Artists will have their doors open to discuss their current work with the community. Currently scheduled to be in residence are: Montalvo Culinary Artist Andrea Blum, poet Jen Bervin, artist and professor Michele Carlson, writer Allegra Hyde, visual artist Nora Krahl, artist and photographer Kija Lucas, author Patrick Rosal, musician Walt Szymanski, visual and sound artist Stephen Vitiello, and composer Juan Filipe Waller. Parking is FREE but limited - please carpool if possible.